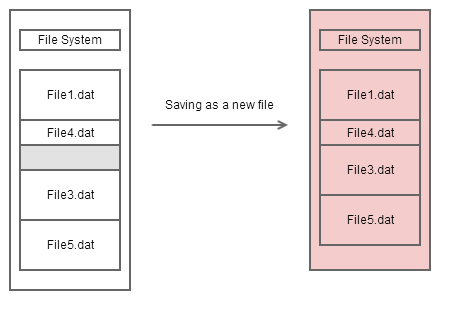 Quick Save is a process which can save changed ISO file quickly. 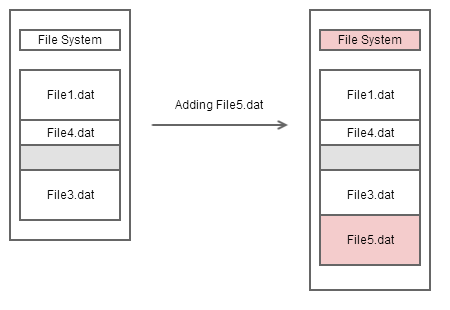 In most cases, only the small file system data will be rebuilt, the large file data area won't be rearranged. Here are a couple of illustrations to explain this feature. The red area stands for changed area in an ISO image. The gray area stands for unused free space in an ISO image. FYI: The smaller the changes are, the quicker the saving is. 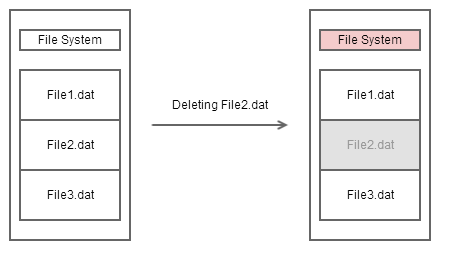 When deleting a file, the file was removed from file system, but the file data area is not changed. 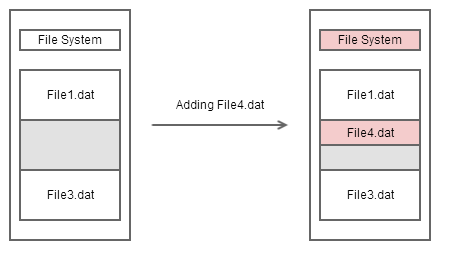 When adding a file, the file will be saved in the gap area of the image. When adding a large file, the file will be appended to the end of the image. The image file size increased. File is rearranged while saving as a new image. The image file size decreased.